The medal dreams of England’s women were dashed when they lost 3-2 to Malaysia in the quarter-finals in Glasgow today. The squad, who finished fourth last time around in Delhi, had high hopes of improving on that, but were left shattered by a 3-2 defeat at the hands of Malaysia. 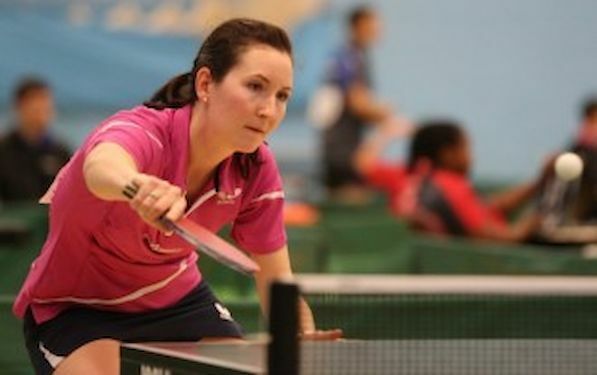 Joanna DRINKHALL won both her singles matches to put England 1-0 ahead and then level at 2-2 after Kelly Sibley had lost her singles clash and also the doubles alongside Tin-Tin HO. When the 15-year-old HO went 2-0 up in the final match, things looked set fair for a last-four spot. However, Ng Sock Khim fought back to take Malaysia into a semi-final tie against Australia. By contrast, the men had little trouble ending the challenge of Wales to book their place in the semi-finals against India.Paul DRINKHALL lost the opening set 13-11 to Ryan JENKINS, but that was as good as it got for the Welsh as DRINKHALL took the next three, Liam PITCHFORD won in three and the doubles partnership of DRINKHALL and Andrew BAGGALEY also won in three straight.